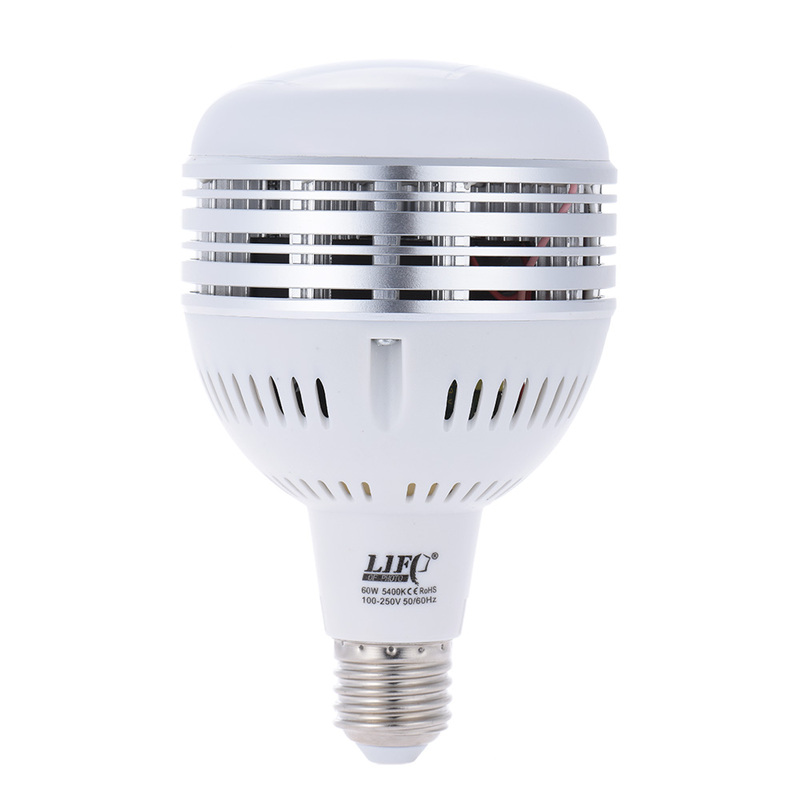 Often used in lighting kits, the 5400K daylight-balanced 60W, 100~250V LED studio lamp with built in cooling fan helps fast heat dissipation. 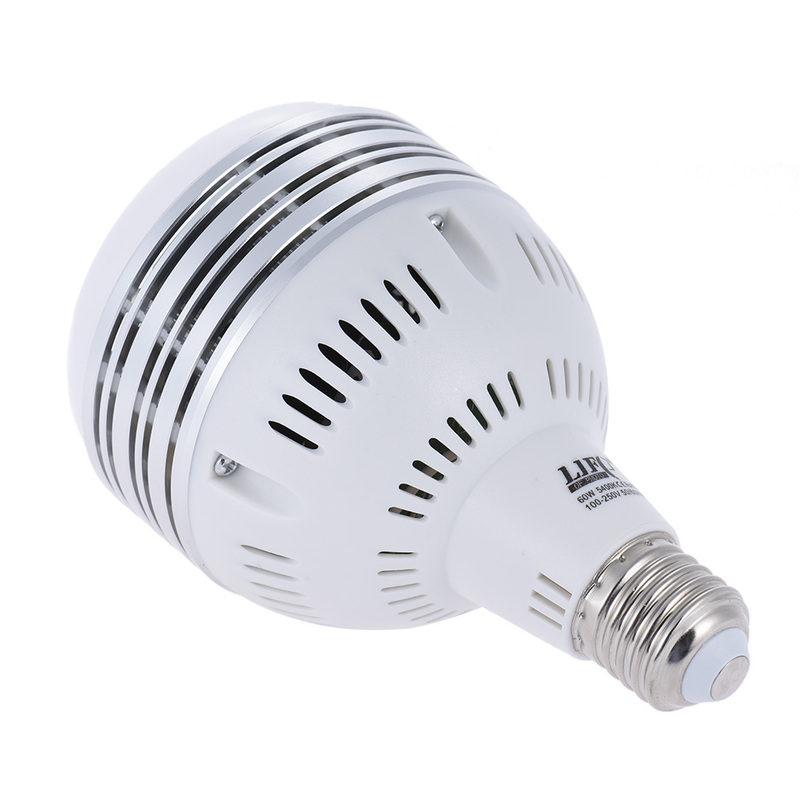 The bulb can be easily mount on a E27 socket, wide compatibility. With a high color rendering index of 80+ ensures accurate color rendition. 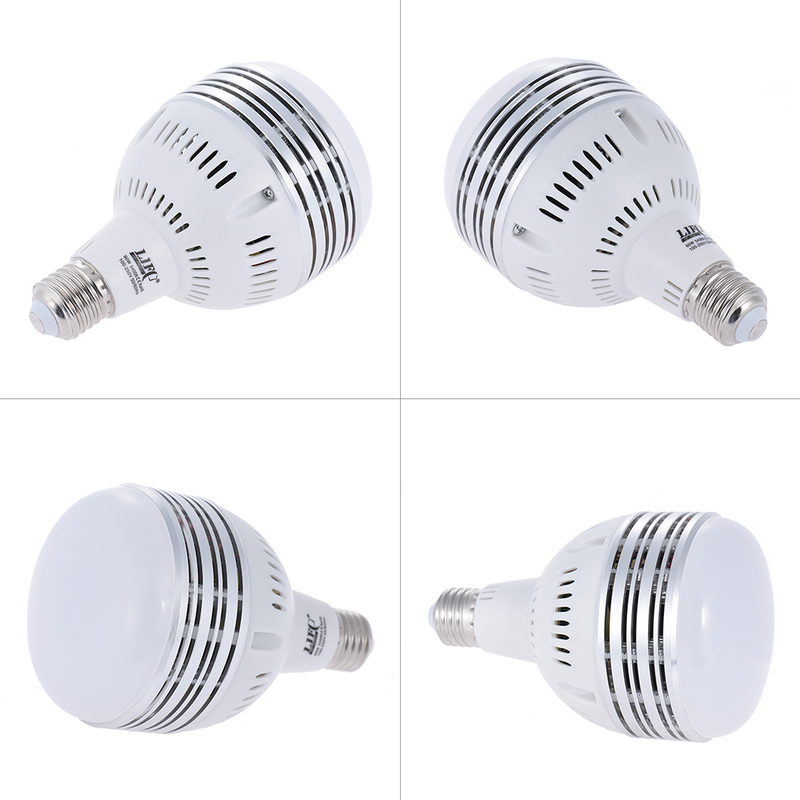 Like all LED sources of this type it is energy-saving. 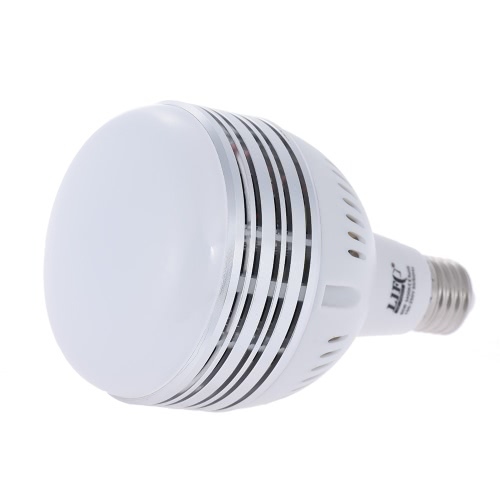 The 60W LED lamp is the equivalent of a 500W incandescent lamp. 60W output, equivalent to a 500W incandescent lamp, 5400K color temperature, CRI80+. Built in cooling fan helps fast heat dissipation. 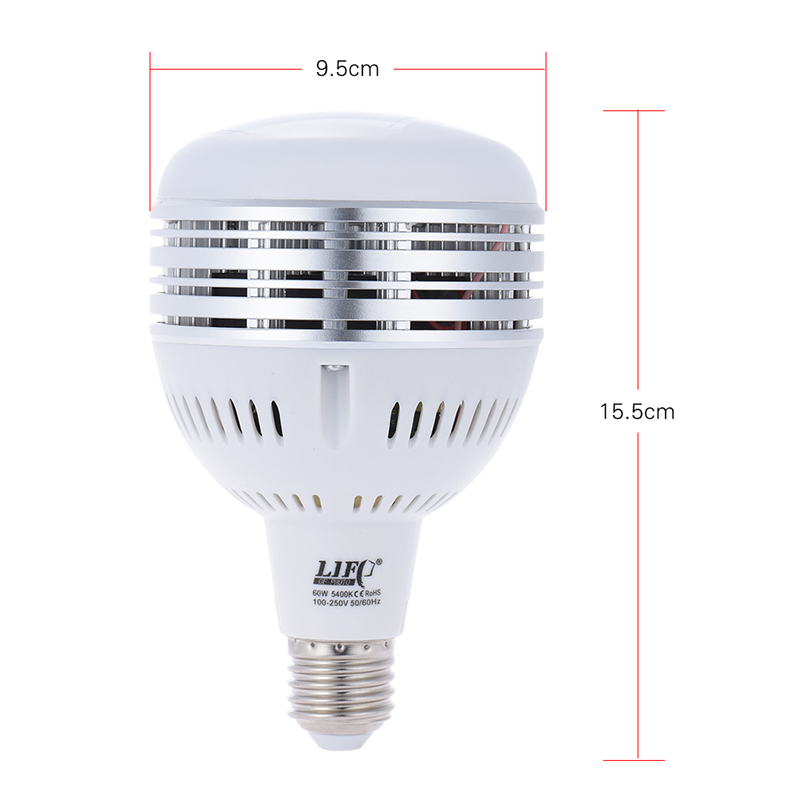 105pcs LEDs, high brightness and long lifespan. 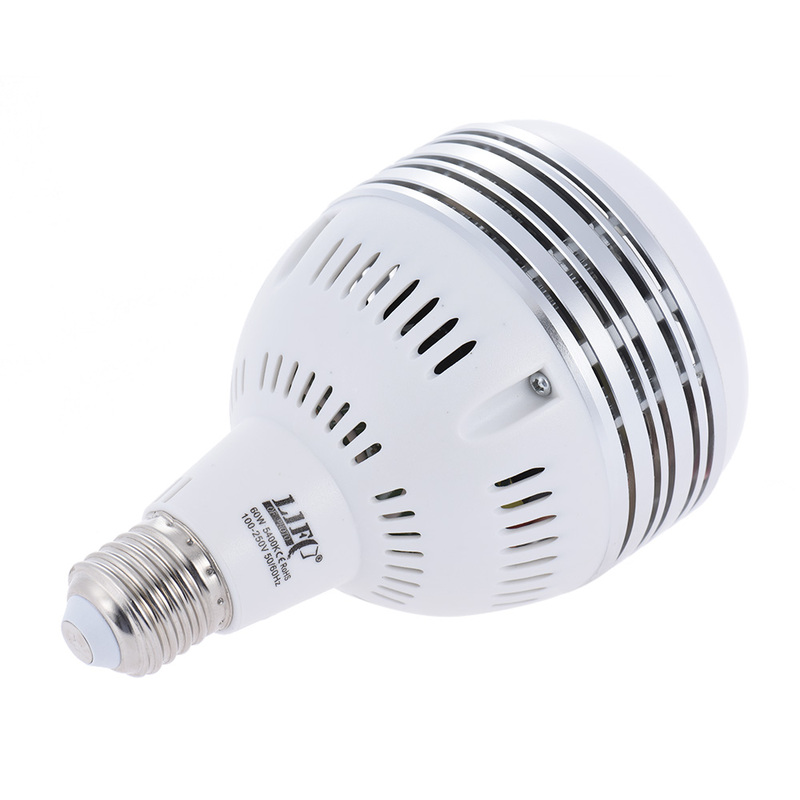 Standard E27 bulb base, wide compatibility. Durable white cover to help better soften your lighting.